Sir Siegmund Warburg was Ken Costa&apos;s first employer. He was widely regarded as the greatest banker of his generation. In this lecture, together with Professor Niall Ferguson, his official biographer, Professor Costa looks at a contribution of Sir Siegmund Warburg and applies the lessons learnt from his life to the current crisis in finance. 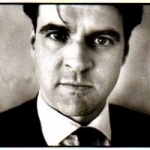 Niall Ferguson, MA, D.Phil., is the Laurence A. Tisch Professor of History at Harvard University. He is a resident faculty member of the Minda de Gunzburg Center for European Studies. He is also a Senior Research Fellow of Jesus College, Oxford University, and a Senior Fellow of the Hoover Institution, Stanford University. 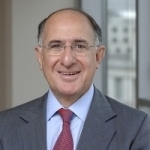 Professor Ken Costa is the former Chairman of Lazard International and is the Emeritus Gresham Professor of Commerce. Ken Costa studied philosophy and law at the University of the Witwatersrand, Johannesburg, where he became President of the Students&apos; Union and was active in the student protest movements against apartheid. He went on to study law and theology at Queens&apos; College, Cambridge, where he obtained the LLM and Certificate in Theology. Following university, he went to work for an investment bank in the City of London, where he has worked for over 30 years. After serving as Vice-Chairman of UBS Investment Bank, a global financial institution, where he advised international corporations, Mr Costa was named as the Chairman of Lazard International, joining the bank in October 2007. Ken Costa is the Chairman of Alpha International, which promotes the Alpha course - an introduction to the Christian faith attended by over two million people in the UK and ten million worldwide - and Church Warden of Holy Trinity Brompton. He was Chairman of the £10m successful Tick Tock Club appeal on behalf of Great Ormond Street Hospital; a member of the Advisory Council of the London Symphony Orchestra; and a Trustee of the UK arm of the Nelson Mandela Children&apos;s Fund. All of Professor Costa&apos;s past lectures can be accessed here. Good evening. Thank you for coming to this last lecture in my series. It is a particular honour to be sharing the platform with Niall Ferguson. Niall is not just a distinguished historian. He is the official biographer of Sir Siegmund Warburg, whose enduring contribution to finance and how that can inform the debate about banking in the current turmoil is my starting point tonight. Warburgs were brave enough to employ me - theology is not the first recruitment ground for bankers! - and I spent a good part of my working life at the bank he founded. My personal experience will therefore colour what I have to say. But I believe that offers us some valuable pointers as to the future of banking at a critical time for finance generally. The essence of the experience is in this lecture&apos;s title: High Financier: Sir Siegmund Warburg and the Art of Relationship Banking. As a young banker fresh from university, I had a lot to learn about relationship banking - and I think we would all do well to re-learn the lesson. And it is an art not a science. Sir Siegmund insisted on knowing the client in almost intimate detail. He famously remarked that if you want someone to be a client you should make him your friend first. At S.G Warburg & Co, the bank he opened in 1946, Sir Siegmund almost parodied the process. He instituted a unique regime of having two sittings at lunch. The intention of course was that clients would not feel neglected. He created space for that most enduring of relationship building - human contact over a meal. The wily client would accordingly at 1.28pm turn to their host innocently and say: "And now, about the fee...?". Another, doubtless unintended, consequence was that partners occasionally found themselves eating two lunches a day! I fear that in the present climate many bankers can only dream of clients being their friends. For precisely that reason, however, this could not be a better time to think again about relationship banking. As we speak, a debate is raging about the future of banking. Was a breakdown in traditional banking relationships with clients responsible for the financial crisis? Can a modern, integrated bank be relational? Is the only way to re-establish the primacy of relationship banking to break banks up? I will leave Niall to ponder on what Sir Siegmund would have made of the modern integrated bank. But I think weakened relations between banks and clients were and are part of the problem. That said, I will argue tonight that the cause has not been integration or size. The cause has been values. The crisis from which we are slowly emerging was the outcome of duties owed but not met, responsibilities incurred but not fulfilled. I believe that the failure in the market was that there was no relationship of trust with the person at the other end of the telephone. The values of relationship banking point to how we can restore that relationship of trust - and with it the essential contract between banks, clients and society. Dismembering banks is not the answer. The answer is to reinvigorate the art of relationship banking within integrated banks. The road out of crisis is signposted "Relationship Banking". What is relationship banking? Sir Siegmund died in 1982 and today the idea is often taken merely to mean that you spend a lot of time in expensive restaurants or at the nineteenth hole. Agreeable as that may be, relationship banking is much more profound. At bottom, it is about good moral practice as well as good business practice. It is about finance&apos;s relation with society at large, the silent partner to any transaction who in the end legitimises what we do and makes it possible. It is integral to the moral basis of capitalism, the fundamental fusion of values and value creation about which I have talked in previous lectures. This means that relationship banking is not a subset of behaviour, suitable for parts of an institution when convenient. It has to be embedded in the DNA of the whole institution. If the financial crisis and ensuing recession show that capitalism has slipped its moral moorings, we have much to re-learn from relationship banking. In important respects modern finance has become too abstract. In the welter of information bombarding every screen, transactions can assume the faux reality of a video game. Data has substituted for wisdom. Time has become a foe instead of a friend. We are long on knowledge and short on wisdom. In corporate banking, where I have mostly worked, the notion of the house bank - the long trusted advisor and facilitator - has been seriously eroded with the emergence of transaction banking. But the pendulum is swinging back. They also did not recognise - or did not act on the recognition - that they have duties to customers (to give advice in the customers&apos; best interests), to the markets (to state their true exposure to risk), and to society (to seek to make their profit through activities with real long-term social benefits rather than through excessively risky financial manipulation of dubious social value). Relations with regulators became unconstructive and even antagonistic. The result was that many bankers behaved as if each bank was an island, an autonomous institution whose sole necessary relationship was with its shareholders and whose sole motivating value was the pursuit of profit by almost any means. But of course the crisis revealed that banks are not autonomous islands but are embedded in, and depend on, the confidence of the societies in which they operate. The gargantuan scale of the wealth destroyed in the financial meltdown and the burden of the bailout on taxpayers is evidence enough of that dependence. The fact is that relationship banking has real, hard-headed benefits which affect profits. For a start, lending decisions are likely to be better at the outset, reducing the risk of borrower default. We should not forget that the principal financial cause of the crisis was old fashioned bad lending judgements, not losses on exotic instruments. Monitoring costs ought to be lower because of the nature of the relationship. Should a borrower run into difficulties, a re-scheduling is more likely to be agreed and the terms to be better for bank and customer. And, critically in my view, relationship banking optimises profitability in the long term rather than being seduced by gains which are enticing but fleeting. Conversely, there are real costs to losing or reducing these benefits. One casualty is the concept of service, much talked about by financial providers but much distrusted if customer satisfaction surveys are a guide. Unfortunately, banks tended to think of consumers and counterparties rather than customers and clients. The language may seem pedantic but it is heavily freighted. Service is much more than a moral and sustainable way of making profits. It is the practical manifestation of a different view of the market which sees the market as servant rather than master, a means of improving the lives of the silent partner to each and every transaction bankers undertake. What we have also lost, therefore, is confidence in partnership, the automatic understanding that what is good for the bank is also good for individual clients and for society as a whole. I fear that courage has been lost as well. Sir Siegmund was renowned - if not notorious - for his willingness to defy convention. In 1959 he engineered the first major hostile takeover of a British company, when Reynolds Aluminium of the US won the "Aluminium War" for control of British Aluminium. David Kynaston, in the fourth volume of his monumental history of the City, observes that some diehards never forgave Sir Siegmund and that the episode was regarded as a watershed. The herd behaviour - timidity about speaking and acting differently - which has become pronounced in global markets partly stems from tenuous banking relationships and corruption of the values underpinning them. Moreover, relationship banking is about what happens inside as well as outside banks. Relationship banking encourages the attitude among employees that what is good for the client is good for the bank too. It places a premium on how senior staff and directors behave. It clarifies and strengthens the link between employee and corporate performance, opening the way for bonuses to be paid according to long-term results. It furnishes a moral, as well as practical, legal and regulatory basis for minimising conflicts of interest. And it leaves shareholders in no doubt about how the business is run. I appreciate that relationship banking is easier in a partnership. Maintaining common values against the demand for quarterly resporting is generally easier in a small organisation than a large one. But partnerships do not guarantee good decisions and ethical behaviour. Nor are shareholders always the impatient villains the press depicts. And big banks are with us to stay. Even if some banks are broken up, which I believe would be a mistake, the pieces are still likely to be orders of magnitude bigger than in the past. And relationships where the parties meet in varied contexts, whether different business dealings or socially - Sir Siegmund&apos;s point about friendship with a client. Trust binds these components together. Depositors trust banks to keep their money safe. Corporate clients trust banks to given them honest advice which is in the client&apos;s best interest regardless of how profitable it is for the bank. Markets and shareholders trust a bank to provide timely and accurate information about its activities. Society trusts a bank to respect the wider community which makes its business possible. I would go further. Markets exist to help human beings flourish. The qualities essential to a successful banking relationship are equally essential to a successful market. Given the central and indispensable role of finance in a modern economy, banks have an obligation in what they do and the example they set to sustain a productive economy. The challenge for us today is to go beyond contract to conscience. I owe a duty beyond contract. In dealing with someone else, a duty to treat fairly arises from our common participation in providing a financial service which has social consequences. What does our discussion tell us about the values that should prick our conscience? I would sum them up as respect, honesty and service. Respect is the essence of the relationship with the client. It entails understanding the client&apos;s position and trying to act in the client&apos;s best long-term interests. Honesty is explaining and demonstrating what you really believe is in the client&apos;s and the bank&apos;s interests. And here transparency is key. No client minds (outside of a fee negotiation!) that a bank should profit from a relationship. What they jib at is the unexpressed and undeclared advantage that might be taken of them if these rewards are undisclosed. Courage is needed to take difficult decisions. Service is understanding that finance and the market are servants not masters, that they are means to the greater end of a better life for all. My experience of several decades in banking is that people come to banks for many reasons. But they stay for one: the relationship. The question now is how the values of relationship banking can be reinforced and revived for today&apos;s integrated banks so that clients and banks alike once more fully appreciate their merit. The alternative is more disruption and further misguided pressure to break banks up. I have some suggestions. First, let us translate the idea of relationship banking into terms which everyone can understand, terms which are familiar and time-honoured: Do as you would have others do unto you. Second, bank boards and managers must take a lead - not least because, if they do not, politicians and regulators will do it for them. Public commitments by leaders to the values of relationship banking declare to employees, clients and the silent partner of society at large that a change in values is possible, required and going to happen. Third, we all need to recognise that so momentous a culture change will not occur over night. All parties - banks, investors and other stakeholders, society - will need patient resolve. But that is the spirit of relationship banking. And it is all the more reason for starting now. Fourth, we need to affirm without embarrassment that profitability is a justified mutual outcome of these relational bonds. Relationship is not merely an altruistic objective but one which blends together elements in the human spirit which fairly seek both profit and relationship. Whatever the new paradigm which emerges from the current turmoil looks like there is no doubt that the financial landscape will change but it will change for the better if we set relationship banking at its core. Thank you very much indeed, ladies and gentlemen, for coming this evening. I am in the unfortunate position of talking about a book that is not yet available, and in that sense, this is the private view. The book will be published in about a month from now, under the title, "High Financier: The Lives and Time of Sir Siegmund Warburg". Let me now try to very briefly sketch what it seems to me was distinctive about Siegmund Warburg&apos;s approach to finance, because the most striking thing to anyone who reads this book will be the yawning chasm that separates Siegmund&apos;s world view from the world view we have grown accustomed to in recent years in the City here in London and in Wall Street. It is almost the antithesis of what one hears characterised as transactions banking. Siegmund himself, in one of the many letters that I read when I was writing the book, drew a distinction between transactions, which he saw as "channelling big sums of money from certain quarters which had a surplus to certain other quarters where there was a scarcity of funds... trading in money and of moving funds", and on the other hand, relationships, which he saw as "Changing and adjusting management and capital structures of industrial and financial businesses to alterations in our environments". It is interesting that when Siegmund made that contrast, right in the 1960s, he saw transactions banking as a thing of the past, not a thing of the future. It was really an era behind him in 1964 when he wrote these words. "Personally, I am not interested in the waves of despondency and enthusiasm. These are appropriate for people who look upon matters purely from a Stock Exchange point of view, i.e. in a "Boersianer spirit". However, if we want to succeed, we must make up our mind to follow a policy of establishing new values and new procedures rather than to act mainly as traders and sellers of securities which we find relatively easy to dispose of. In other words, we must be aware that we are primarily bankers and only secondarily Stock Exchange traders." It will, by now, have struck you that this is the reverse of the world which produced the financial crisis that began in 2007 and is not yet over. "I, who had grown up in a very closely knit family circle, have gradually and increasingly come to the conclusion that the desirable relationships are what Goethe called "Wahlverwandschaften", i.e. selected relationships in contradiction to blood relationships. This, of course, does not exclude the possibility - though a very rare one - that a selected relationship may coincide with a blood relationship." I wonder if Lord Rothschild remembers that letter which so neatly summed up their elective affinity as products of two great and by no means easy families. For those of you who do not know, it is worth just reminding ourselves just what S.G. Warburg & Co. was, because, today, it really is a rather unusual looking creature. You could call it an investment bank although it tended to call itself a merchant bank, but it was not really either. It was, in some ways, an institution that focused on very high-end consultancy. Corporate Finance was a way of advising corporate clients on their finances and management, and it was a fee-based, and therefore low-risk, business. Warburg also did Asset Management. It was something of which Siegmund wholly disapproved, and he would quite gladly have given away this Asset Management side of the business, which he saw as far too close to the speculative spirit I mentioned earlier. Warburgs was an innovative firm. In many ways, Siegmund and his colleagues were founders of the Eurobond market, the first great offshore capital market of the post-War world; a kind of pioneer, if you like, of financial globalisation. Two other things about the Bank are worth mentioning in this very brief and unsatisfactory sketch: One is that Siegmund was a great managerial innovator. His approach to the internal hierarchy of the Bank was very unusual, and very idiosyncratic in many ways, from the graphological analysis of potential recruits right the way through to the very open plan and seemingly democratic way in which the Bank was run. The other thing that is interesting about Warburg was that in fact it became part of a quite complex international molecular structure - that is the way I try to characterise it. It was not really a conglomerate. It was more a complex network of related institutions, and that, in many ways, reflected the extreme difficulty of doing international finance in the period after World War II, when exchange controls and capital controls stood in the way of international transactions. For Siegmund, it was really the fee-based business that was the most important. As far as he was concerned: "One fee which we earn from giving good service to one of our large industrial clients can be far in excess of what we earned in a whole year in connection with Eurobond issues." That seems to me to be a very important way of understanding exactly what it was he was trying to do, and why, therefore, relationships were so much more important to him than mere transactions. "It was not work, more a life experience, a daily rerun of "The Persecution and Assassination of Jean Paul Marat as Performed by the Inmates of the Asylum at Charenton" mixed with "It&apos;s that man again"." I have to thank Geoffrey Elliott for that wonderful characterisation of what it was like to work at Warburgs, which certainly sums it up better than almost anything else I have read. "Mr Warburg himself" spent every day at least 8 hours in meetings, 4 hours with visitors, 3 hours at 3 different lunches, 3 hours in entertaining colleagues and business friends over dinner, 2 hours dictating letters, 1 hour reading letters, 4 hours in one aeroplane or another, altogether 25 hours on a conservative basis, to which have to be added 6 hours spent every Monday at the directors&apos; dinner in the Connaught Hotel." That was Charles Sharp making fun of the way life was at Warburg, in one of the many sketches and plays that he wrote that were internally circulated, and which of course illustrate that it really was fun, at least some of the time, to work at this Bank. These plays are a wonderful way in to the internal machinery of Warburgs. What is important to remember is that man&apos;s career spanned all the great financial crises of the Twentieth Century, and the backdrop to the history of S.G. Warburg is a backdrop of profound economic failure in the United Kingdom. One cannot therefore understand the performance of Siegmund&apos;s bank if one does not understand the performance of the British economy, which was essentially the setting. If you compare the performance of the UK economy between 1950 and 1973 with all the other major economies of the world, it is staggering how bad it was. If you just look at the data of the real per capital growth rate, it is astonishing how low Britain was, coming 26th with a growth rate of nearly 2.5%, a long way behind Japan&apos;s 8%. It is also interesting to note in those figures how poorly the US performed in this context, coming in next to Britain with effectively the same rate of growth. We forget now that in fact economic growth in the UK and the US was really rather paltry in the period during which Siegmund Warburg had his greatest success - the 1950s and &apos;60s. It was also a time of great currency volatility. From the break-up of Breton Woods, which really tends to be thought of as happing in 1971 but in fact was well under way in the late-&apos;60s, this was a time of great instability in currency markets and an instability to which people were not accustomed. It was in this period that the pound weakened against the dollar and against the other major currencies of Europe. It is hard to believe now, but we had double-digits in the annual inflation rate for many developed economies in the 1970s. In Britain, inflation went as high as 27% at its worst point in the 1970s. This of course was because of an almost complete loss of control of monetary policy that characterised the early 1970s. We have lived though a crisis in the housing market, and indeed we have lived through a crisis in the banking system, very recently, but it is easy to forget we did this all before in the 1970s. If you look at the performance of UK housing there was the most extraordinary property bubble in the early-1970s in the UK, followed by a spectacular crash. Actually, this was a more serious bubble than the one that we saw recently in the United States, where the property price index rose no higher than 20% at its peak, whereas British house prices were rising at 40% per annum at the peak of the Barber Boom. It was really in the early-1970s that Britain had its most severe stock market crash in history. If you adjust for inflation, it was particularly abysmal, with the real collapse of the order of three-quarters in the price of UK equities. The real returns, if you look at bonds or gilts, were miserable too. In fact, they were strongly negative in Britain through the 1940s, &apos;50s, &apos;60s, and &apos;70s. So when one is trying to understand Siegmund&apos;s history, one has to bear in mind that he was a financial innovator at a time of really quite miserable economic underperformance and financial instability. That is really the background against which you have to read the chart of real net profits of Mercury Securities, which was the parent company of S.G. Warburg, that is to say inflation-adjusted net profits. The Group did spectacularly well in the 1950s, and especially in the &apos;60s. The real achievement though was to ride out the miserable 1970s without succumbing, as many banks did in the secondary banking crisis, if not to insolvency, then to government bailout, or just miserable underperformance. It is a rather similar story if you track their share price: great up until around 1970, then pretty dismal, but a rally in the very last years of Siegmund&apos;s life, when of course Margaret Thatcher came to power and a degree of optimism returned to investors. In fact, Siegmund was thinking, at that point, not so much of his own, at that stage, quite small firm, but of the Wall Street giant Kuhn Loeb, which he spent many years vainly trying to drag into the modern age. That is a story in itself, of failed financial reform and management. But the principles are fascinating to me, and what I want to do is just to fill in a little bit of what he meant by those five things, because they seem to me to be relevant today. "The basic conception of our firm has always been founded on the following principles: success from the financial and from the prestige point of view, important and self-understood as it is, is not enough; what matters even more is constructive achievement and adherence to high moral and aesthetic standards in the way in which we do our work." That was Siegmund&apos;s view, in essence. More than any figure I have ever studied in financial history, he was almost indifferent to the bottom line. He hardly, in his correspondence, discussed the annual profit and loss of Mercury Securities. For Siegmund, it was perfectionism, both moral and aesthetic perfectionism, in execution that really were the end product. That was what he strove for. That was how he judged the performance of the firm and the individuals who worked there. Can any of us really recognise that in the financial world we know today? I have seen very few traces of that attitude in any firm that I have got close to in the last ten years, on either side of the Atlantic. Warburg: I do hope I&apos;m not disturbing you. Darling: Oh no, Mr Warburg, not at all. Warburg: Well, it&apos;s about your note dated 22 December on the American stock market. Do you have a copy in front of you? Darling: Er, no, I&apos;m afraid my copy is in the office. Warburg: Well, let me remind you of your second sentence in the fifth paragraph ... I think there should be a comma after the word "development?" Now, this might strike you as a rather pedantic issue to raise when a chap&apos;s gone home and is having a little downtime. But, to give you a further fact about the situation, this was on Christmas Day! This, I think, captures something very important about Siegmund Warburg&apos;s attitude towards finance: he was a perfectionist in terms of form. For Siegmund, a misplaced apostrophe in a letter was an appalling crime, and it was an appalling crime because it was symbolic of negligence that might be far more profound. It sent a signal which to him was almost unbearable: that the Bank was not striving after perfection. And while that might seem comical to some, to me, as a lifelong penman, it is actually deeply admirable. One of the wonderful things I should say about writing this book was to commune with even more pedantic people than me, because all the people who have worked for Siegmund have inherited this obsessive fear of misplaced commas! So, when I circulated the draft manuscript to them, it came back with literally hundreds of corrections - but the reassuring thing was that they all spotted different misplaced commas! So, between us, I hope we have eliminated most of the mistakes in the book. "... Most of the substantial transactions which have been done by us are the result of the cultivation of contacts over very many years. It is of course important that the technical details of a transaction are dealt with in the most thorough and painstaking manner possible, but this should not make us forget that - this would be fruitless without human contact with the client in question. - In our kind of business the continuity of valuable connections overrides in importance the conclusion of any specific transactions." This was Siegmund&apos;s deep conviction: it was the relationships that brought the transactions, and not the other way round. He, I think, would have been deeply shocked if he heard bankers in New York and London talking of counterparties, not clients, and emphasising transactions and conflicts of interest, conflicts of interest indeed that should be embraced rather than avoided. The fourth point, which is extremely important and relevant, is that Siegmund was a risk-averse man. Having lived through the hyper-inflation of the 1920s in Germany and the Great Depression, which had brought his Uncle Max Warburg&apos;s bank, M.M. Warburg & Co., to its knees, Siegmund lived in fear of another great crisis, and indeed, it was one of the characteristic features not only of Siegmund&apos;s world view, but the world view of the other elder refugee bankers who were the core of the bank, the uncles who were core of the Warburg founders, that something dreadful was just about to happen, and that one should be prepared for that. They lived with the worst case scenario fully before. That explains why, when Siegmund discussed the management of the balance sheet, he was an extremely cautious manager. "I&apos;m not impressed," he wrote in 1968 "by profits earned in a business which carries undue liquidity risks." Siegmund knew that liquidity was life to a bank, and it could dry up with terrifying suddenness. If Siegmund had been granted a longer life, he would have been warning, as I should say that I was, in late-2006 and early-2007, of the danger of a liquidity crisis for a highly-leveraged banking system, in which illiquidity was the defining characteristic of much of the balance sheet. "It is always wrong to look at the bright side of the picture. One always risks being tempted into complacency "not you, of course" but some of our colleagues, if they see that for the last 25 years our non-recurring profits have each year recurred on an ever growing scale, may end up considering this as a normal state of affairs." This was, of course, at that time, quite funny, particularly to the younger people at the Bank, who found Siegmund&apos;s pessimism oppressive, but if you think back to those figures that I referred to earlier, Siegmund was absolutely right to take this view. One reason that Warburg&apos;s survived the secondary banking crisis, and the slump of the 1970s, was precisely this prudent cast of mind. I come to Siegmund&apos;s fifth and final principle: organisation and the mode of decision-making. About this, I wrote a good deal in the book, and though it might sound like unpromising stuff, it is, in some ways, the most fascinating part of the entire book. Siegmund thought deeply about how an organisation should function. I began to realise that he had invented, almost from first principles, how it should be done, partly on the basis of the bad experiences he has had in Germany, partly on the basis of the bad experiences he had with Kuhn Loeb at New York, and partly on the basis of what he saw going on around him in London at the older, longer-established merchant banks. The whole notion of a morning meeting, at which the key decision-making directors would gather, young and old, and take collective decisions and share information, was absolutely novel, and unknown at other institutions. Siegmund&apos;s emphasis on the way he worked was crucial too. That is one reason I was able to write the history of his life with relative ease: Siegmund preferred for things to be written down. Even if it was simply arranging to have lunch with Henry Grunfeld, who was in the next room, there would be a short letter to that effect, that would literally go across to Henry Grunfeld&apos;s desk. From an historian&apos;s point of view, this is wonderful! But from the point of view of those who were working for him, it was wonderful too: it meant that all of the key decision-makers had an overview, not only of the major decisions and the major relationships, but, if the wanted it, they had an overview of the minor decisions too. The Rule of Four, to give just another example, whereby, "in each important transaction four people must represent S.G. Warburg & Co."one director and his deputy, and one chief executive and his deputy." This was the kind of thing that Siegmund loved dreaming up. He was forever devising new ways to improve the internal efficiency of the Bank, but, always, his central concern was to ensure that the relationships with clients were managed as well as possible, that there was a paper trail, and that there was collective responsibility for the big decisions. Of course, the big question in any book of this kind is: how far does Siegmund&apos;s version reflect the reality? I will not give the game away by telling you the answer to this question. Suffice to say that this is very interesting. How far was Siegmund&apos;s democracy - and he was a great believer in at least the talk of democracy - and reality in practice? He was a huge believer in retiring. He retired again and again and again! He was always promoting young people. It was possible to become, in at least one case, an Executive Director before you had hit thirty. And yet, in practice, Siegmund remained, even when he was retired and living in Switzerland, the Renaissance Prince, but, let us face it, it was his creation and his genius, his spirit, affected every moving part of the institution. Well, not all Warburg relationships were friendly. The British Aluminium War was all about relationships, but hostile relationships as well as friendly ones, and I hope that I have managed in the book to provide, if not the definitive, but the best available account to date of that extraordinary moment, the first hostile takeover of a company in British financial history. For a time, not only in 1959, the year of that takeover, but right through the 1960s, when he was notoriously "the Red Banker", friends with Harold Wilson, the outsider, viewed with suspicion, not least by those at Morgan Grenfell, Siegmund was - and he liked to see himself in this way - at odds with the Establishment. Therefore, the relationships that he cultivated were not all relationships of friendship and amity and trust with clients. Siegmund had another kind of relationship, which he was rather good at cultivating, and that was the relationships of rivalry, if not enmity, with rivals, and in relationship banking, those relationships matter too. He was a competitive man, and he had a genius for getting clients and mandates from all the long-established firms, but never Rothschilds. He knew too well not to compete with a bank that had, in many ways, given him an enormous helping hand in his first years in the 1930s in London. Siegmund used to liken himself to a physician. Again and again, he would say that the relationship between a banker and a client should be like that between a physician and a patient. He had a kind of Hippocratic Oath in his own head. I was struck recently when my students at Harvard Business School devised an oath for themselves to increase their own self-conscious sense of an ethical framework. This is something I think Siegmund would have approved of, though he utterly despised Harvard Business School as an institution. There were really two great rules in recruitment at Warburgs, aside from graphology: one was you could not possibly be recruited from Harvard Business School; and the other was that it really helped if you had been reading Thomas Mann. I have always wished that I had been as gifted a writer as Thomas Mann because you would need to be to do justice to this extraordinary, complex figure, who, in many ways, was not really a banker at all. He had only become a banker in lieu of having abandoned a political career in Germany when the Nazis came to power. But it does seem to me that this emphasis, throughout Siegmund&apos;s life, on the human factor is something that we should learn from today, as we emerge from a crisis caused by transactions run wild, by balance sheets inflated without any regard to capitalisation and liquidity. The wonderful thing about being so late with this book - and it has taken me a dozen years from beginning to end - is that the book has arrived right on time! It would have been far less timely had I made the mistake of publishing it in 2006. Today, as one reads of the mistakes that brought us to the financial crisis of 2007, it is impossible not to be struck by Siegmund&apos;s prescience, by his understanding of how things go wrong when the human factor is ignored. "People are the most multifaceted and most interesting object of life and of art," was one of many aphorisms he wrote on the subject. "Human matters are much more important than business affairs. For me, the greatest interest and enjoyment were human relations," he said, talking to George Steiner, in a very intriguing interview from the 1970s. "For me the greatest interest and enjoyment were human relations... It was the human side, in practice the negotiating side, which attracted me to banking." I am sorry, ladies and gentlemen, that I cannot offer you a copy of this book on Sir Siegmund now, nor can any good bookstore, but, if you do not mind my descending to the level of a transaction now, I think you will find it fascinating so you should get a copy when it comes out! Thank you very much. Do You Think The UK's Weak Trade Unions Is Related To Low Productivity? Does Technology Have An Influence On The Way Labour Models Work? Why did it take longer for rates to recover in the 1980's compared to previous centuries? Doesn't paying back debt end up with someone having money in their pocket?